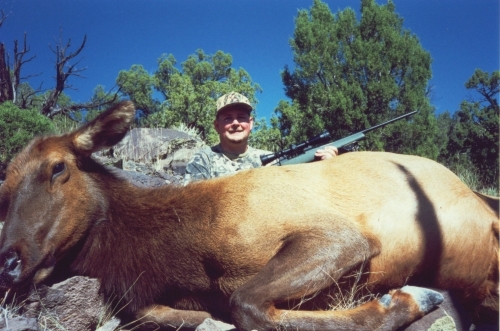 Thomas Jochum made an impressive shot on this giant cow elk at 422 yards! 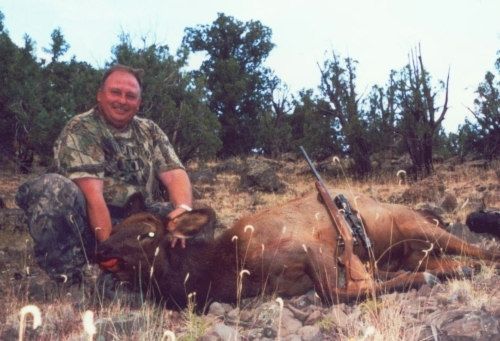 Charles Macintire with a giant Arizona antlerless cow elk shot at just over 200 yards. 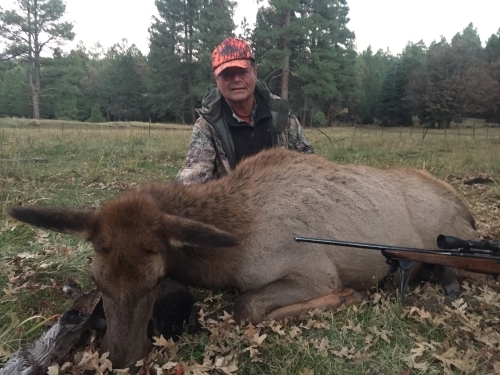 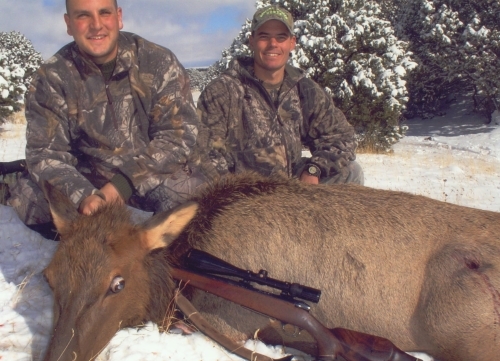 Josh Tofield shot this Arizona cow elk at nearly 400 yards. 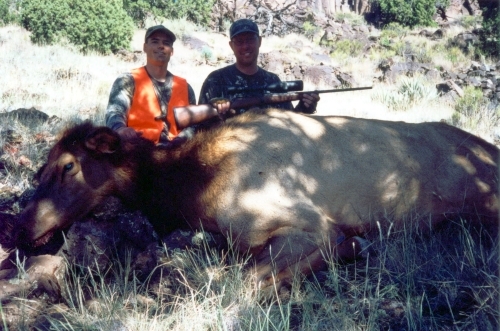 This was Josh's first big game animal! 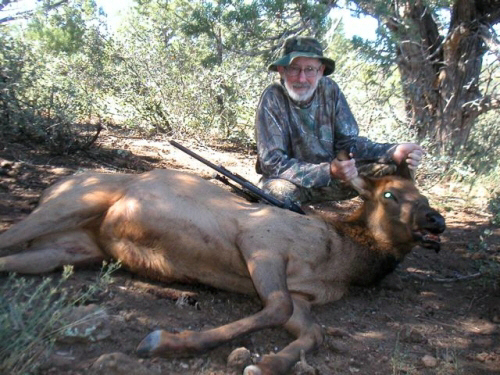 Brian Healy with a cow elk he shot at 223 yards using his .30-06. 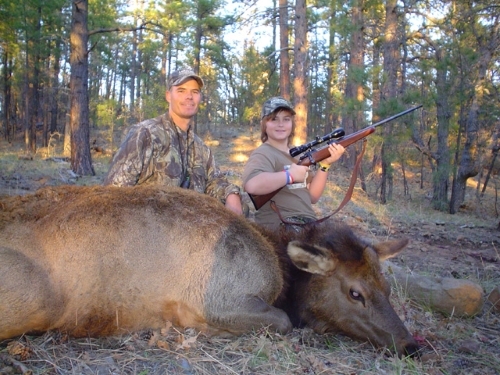 Chase Karvanek with a big cow elk taken on the Junior Elk Hunt in Arizona. 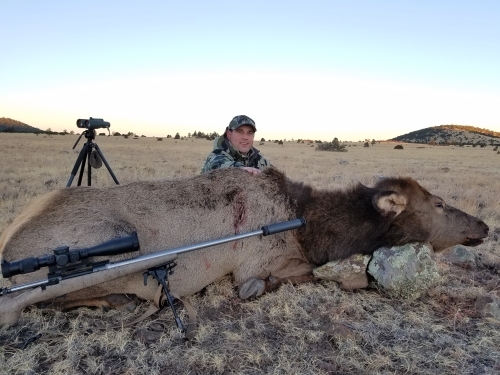 Chase shot this cow off his knee at 150 yards with a .30-06. 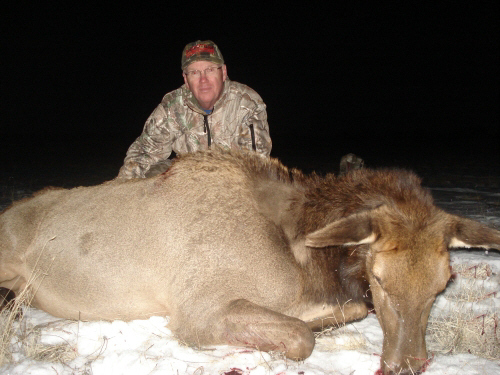 December cow elk taken by Jeremy Grogen.